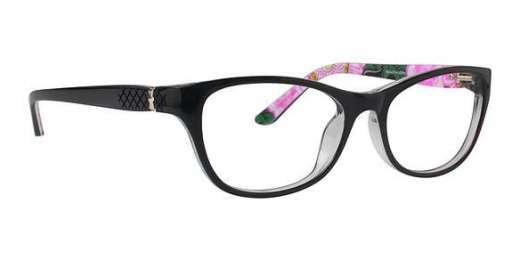 The Vera Bradley VB Tammie is your stylish eyewear solution. Made of plastic, the VB Tammie measures 52 mm, which makes it ideal for medium faces. The VB Tammie is available in a plethora of colors to complement your unique style. Its full-rim design adds an extra touch of class. Includes a protective case. Comes with a 1-year warranty. For the best of both practicality and style, look for the VB Tammie from Vera Bradley. Shop today to start seeing in style.